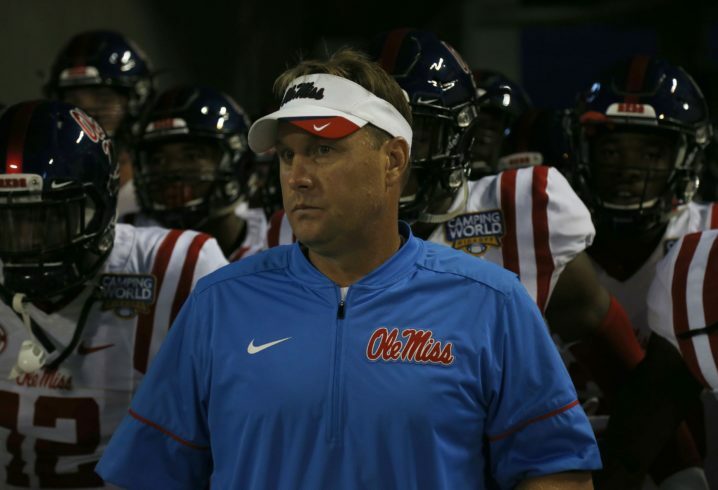 When the NCAA announced penalties on Ole Miss for a series of recruiting violations on Friday, it was notable that former coach Hugh Freeze seemed to get away with a pretty light slap on the wrist. Freeze received a one-year penalty, which will make it difficult for him to land a head coaching position for the 2018 season as he’d have to sit out the first two conference games, but has no restrictions on his ability to become an assistant coach. Freeze is now being linked to some offensive coordinator openings around the country. It will be interesting to see where, if anywhere, he ends up in 2018. It’s about time. How long have I been preaching that it’s impossible to monitor every single person – all the staff and all the players at the same time? You can tell people to follow the rules but it’s not that simple. If someone is violating the rules, they’re going to do it when you’re not around and they’re definitely not going to walk right up to you and tell you about it. It’s not humanly possible to know exactly what people are doing at all times when everyone is scattered about. It’s impossible. He’s only human and he’s only one guy. Mystified with the “victim mentality” by some in the Ole Miss camp. Four major sports had ACADEMIC malfeasance – football coaches & ACT scores; women’s basketball, men & women’s track bogus classes and grades. And that’s BEFORE any recruiting violations!!! Quite honestly, I’m surprised the sanctions weren’t worse. The current Ole Miss AD stated past probationary transgressions should not have been considered in handing down penalties. In what world does he live in? When cancer recurs, you don’t get to say “Hey I’ve already suffered for that.” The past does matter. And yet, there has been NO CHANGE in the athletic administration. We are RESPONSIBLE for the sanctions and have no one to blame but ourselves. All efforts to “spin that” are just not true. Just let it go, dude. Not disagreeing with you. I simply have a problem with liars and cheaters. And it appears we have far too many. Right. I hate ’em too. But there’s nothing we can do about it and the NCAA investigation is over. And he didn’t know about those phone calls either, I assume. 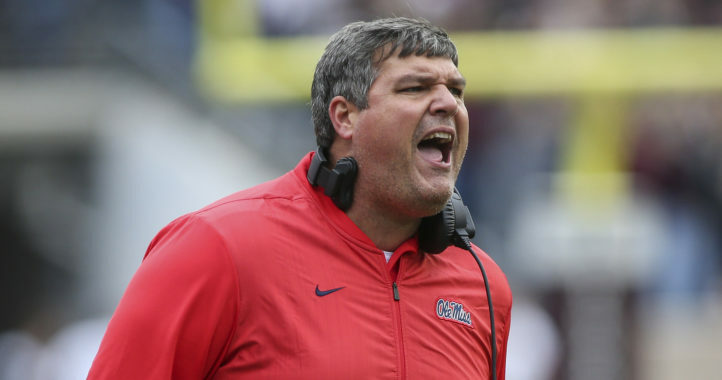 He’d have a job right now at Ole Miss if it weren’t for his lack of character – which Bjork stubbornly defended to the end. Marketing those values is out the window with future jobs now! I could honestly careless about who he did or didn’t screw. None of business whatsoever. That’s the biggest damn problem with this country already. Everybody is to damn worried about what everybody else is doing when they have plenty enough of their own that they should be tending too, that will certainly occupy all of that free time on their hands that they have to worry about what everybody else is doing. Like him or not, the man is one helluva good football coach in my opinion. If somebody like Nick Saban is constantly caught lying on national TV, alone with it being a known fact that he had a girlfriend put up in an apartment that he was paying for when he coached at LSU. Alone with being caught with let’s just say women of the night more than once when he was at Miami coaching the Dolphins. Yet he gets to be falsely claimed to be the “GREATEST COACH EVER” and everything swept under the rug each & every time. Well than I think Freeze should be given that exact same lead way, now wouldn’t you agree DawgCountry ? Seriously would not surprise me to see him back at OM inside 5 years. OM need to out the athletic Dept and hire some people who know when to tell boosters to shut up and stay out of it. 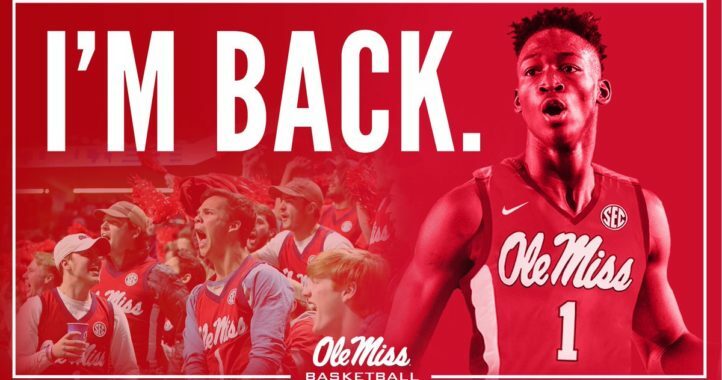 Embarrassing fiasco and the only people suffering are the current players and the fans, the state of Mississippi deserved better from OM and deserved better from the NCAA. Freeze should be on a no hire list at every single state subsidized institution in MS. I know some you rebel commentors might want to jump on me, but I went to that school, too and I deserve better from OM, as well. The people of Mississippi do deserve better! EVERY TIME something like this occurs, it only reinforces the negative stereotype of ALL Mississippians. Quite frankly, I’m tired of the lies, cheating, spin and excuses. AND I’m extremely sick AND tired of being tired!!! You can have honor and integrity and still be successful. It must be fun to be young and naive.